Join a small group of women entrepreneurs in getting real together and getting clear on crafting your business to fit your life. Make space for yourself to envision and map out the year ahead (and beyond). Use your planning muscles to actualize what you envision. An initial gathering feast and a day and a half retreat designed to support you in clarifying, articulating, and mapping out where you are headed with your work and how you intend to get there. Doing this as a small team of women allows us to explore together, learn from one another’s unique perspectives, and gain valuable insight on our business planning. The initial gathering feast and the retreat will be facilitated by Leigh Tillman. Leigh will guide you through a collaborative process to shape the unfolding of your business and thoughtfully integrate it with your life. To learn more about Leigh click here. Initial Gathering Feast – March 4th, 6:00-8:45pm. South Portland, Maine. 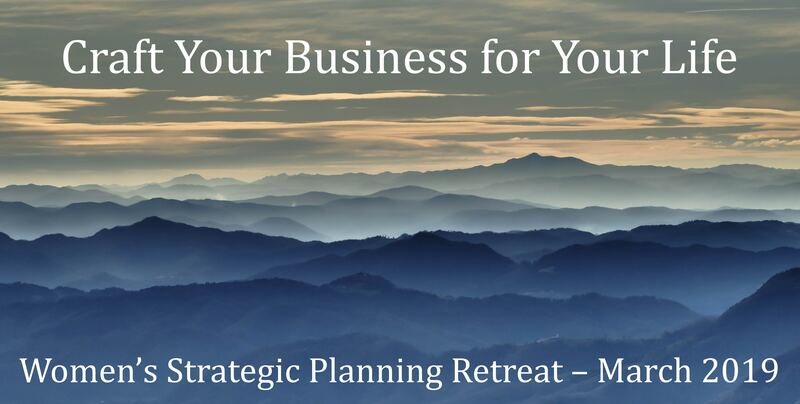 Strategic Planning Retreat – Thursday, March 21st, 12:30pm-5:30pm and Friday, March 22nd, 9:00am-5:00pm (includes a potluck lunch). Held in a beautiful retreat space with a wood stove and many windows with views of the woods of Bowdoinham, Maine. Snow Dates – Thursday, March 7th for the feast. Monday, March 25th and Tuesday, March 26th for the retreat. As we are gathering in winter in Maine, please secure all dates and snow dates. Group Size – space for eight participants. Cost – to cover costs we ask each participant to contribute $210 and a potluck dish for lunch on day two of the retreat. Please note this retreat is not an overnight event and does not include lodging. Contact Leigh with questions and to register.